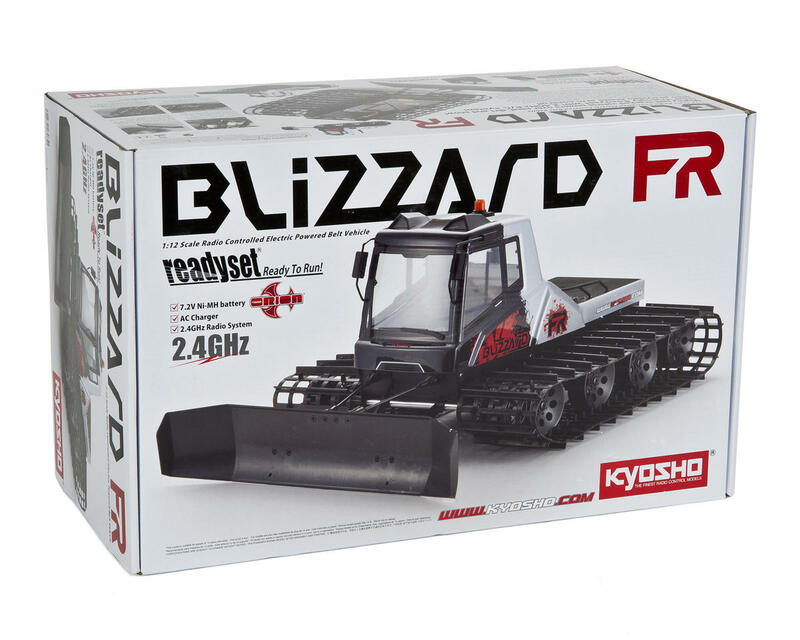 The Kyosho Blizzard FR is a pre-assembled All Terrain Belt Vehicle with a two motor setup, and is a completely revised version of the popular Blizzard SR. Powerful 370 motors transmit their power to drive the transmission block, each motor drives each track independently, delivering maximum torque that allows the FR to power over just about anything. Performance has been enhanced with an improved dual ESC for a much smoother driving experience compared to the SR model. This simple and efficient setup allows for more realistic and complex movements. 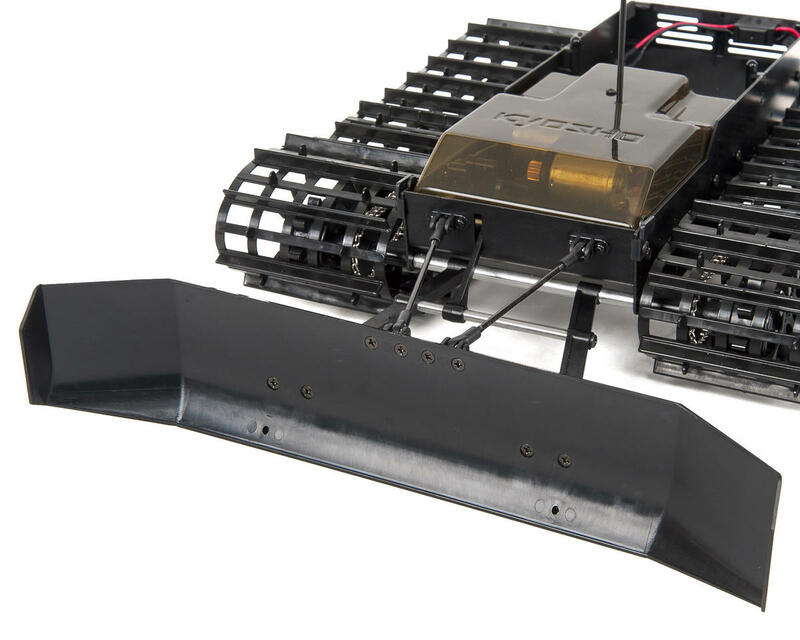 A 3rd channel controls the functional snow plow that is included with the FR as standard equipment. 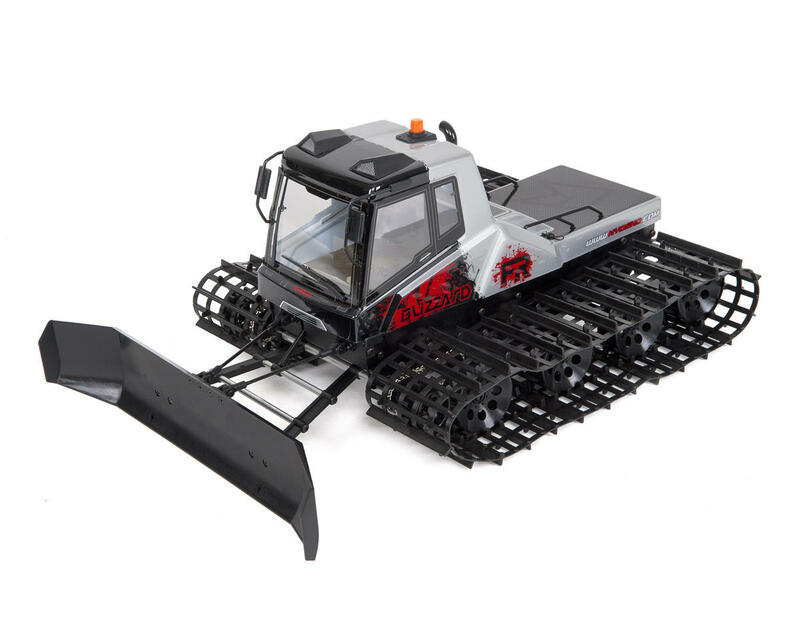 A true fun vehicle for enthusiasts of all types, skill levels and all types of terrain. 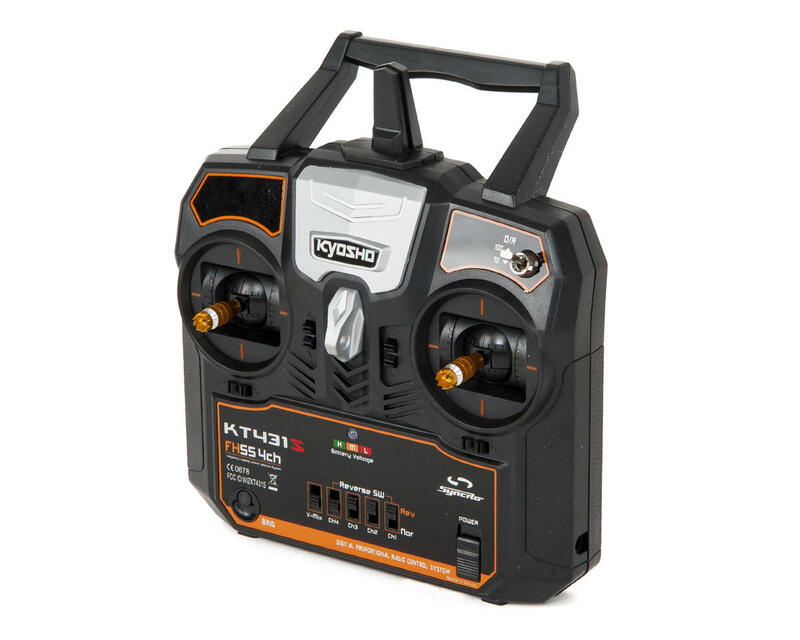 KS4031-06W high response and high torque servo. More impressive, and more fun than I expected! Pretty stout, nimble, and fast! Came with battery, charger, transmitter. Pretty much everything except double A's for the radio. 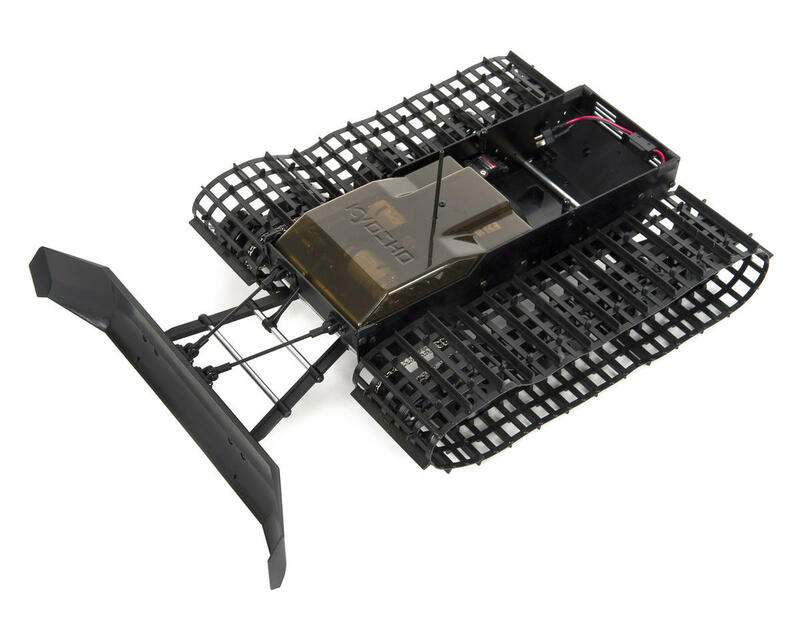 Works perfectly in forward, and reverse, turns, 180's. Excellent and smooth modulation from very slow to pretty fast. Works as description indicates. 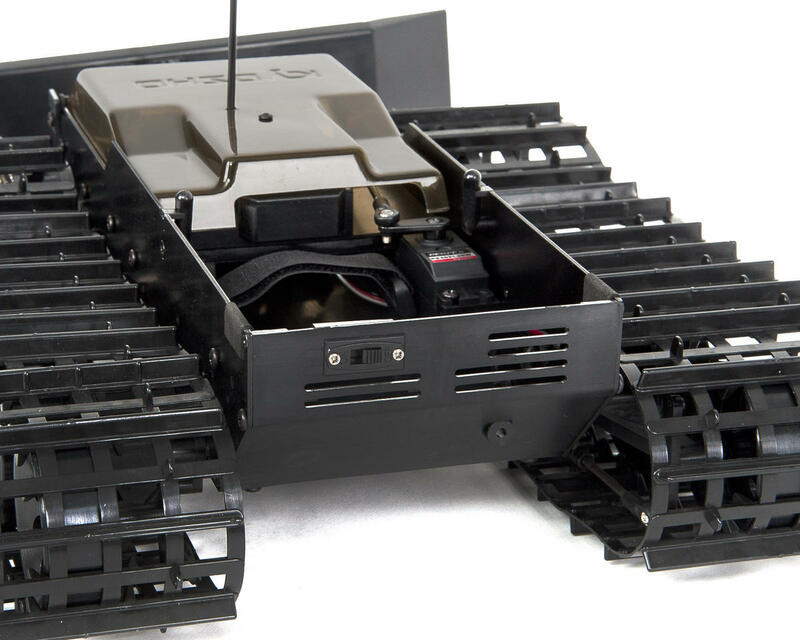 Twin sticks operate like they should on a double track (tank concept) vehicle. Both forward, or both reverse, or overdrive, or under drive one side or the other to turn. One forward, one back for 180. Right/Left on the right stick operates plow. Climbs around on uneven terrain realistically. Very cool! I'm very disappointed with the new FR Blizzard. 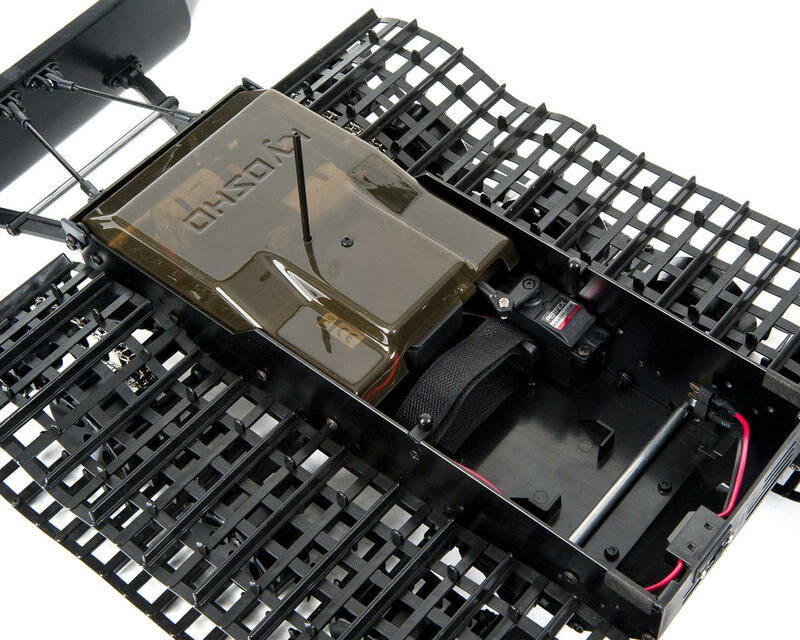 The RC is configured wrong, it should be forward for both motors when the left joystick is pushed. The right joystick should be for the steering. It also runs too fast. I prefer the first the DX version, because it had much more room and an independent up and down plough. It also had both motors working together, when the joystick was pushed forward and revers. The steering was done by an independent resister, which slows the motors down for left or right. I for one think the FR Blizzard was a complete waste of money and I will not be recommending it to anyone. But this is just my opinion.